 We practice the full spectrum of periodontics and implant surgery, including treatment of gum recession, esthetics, and placement of dental implants. The goal of our practice is to create a treatment environment that is approachable, empathetic, and professional. We work with your dentist or dental professional in order to provide excellence of care in the collaboration of our patients. Dr. Hulgan is a specialist in Periodontics, one of two surgical specialties recognized by the American Dental Association. Our practice offers the most advanced digital services available, allowing for a complete understanding of the treatment needed. Our experienced, caring and professional staff is ready to provide you with high-quality and comfortable treatment that meets your exact needs. Highly skilled surgeon, excellent communication with referring dentists and excellent bedside manner with patients. Highly recommend Dr. Hulgan! If you are in need of a periodontist, we highly recommend!! Dr. Hulgan and his staff have been a phenomenal group of people. From the time my wife found out she was going to have an implant and throughout the process so far they have been more than helpful! They have gone over and beyond to make this experience the best it can be for what it is. We fully trust Dr. Hulgan and definitely testify to his professional character and qualified staff. Great person who will put the best interest of his patients above all else! Wouldn't send my family to anyone else. I absolutely loved Dr. Hulgan and his staff. He took such great care of me and really took his time explaining what needed to be done and making sure I had no worries or questions. I had been battling a tooth for years and after two root canals that never fixed the problem, Dr. Hulgan fixed my tooth with an apicoectomy. Finally, after years of having toothaches, he fixed it. He sent me home with his private number and he truly cares about his patients. Great experience with my implant. The staff is very friendly. Dr. Hulgan is the kindest and most caring doctor. The implant was a lot easier than I ever expected. Great experience and I highly recommend Dr. Hulgan. The office is very professional and prompt too. © 2019 Southern Periodontics. All rights reserved.